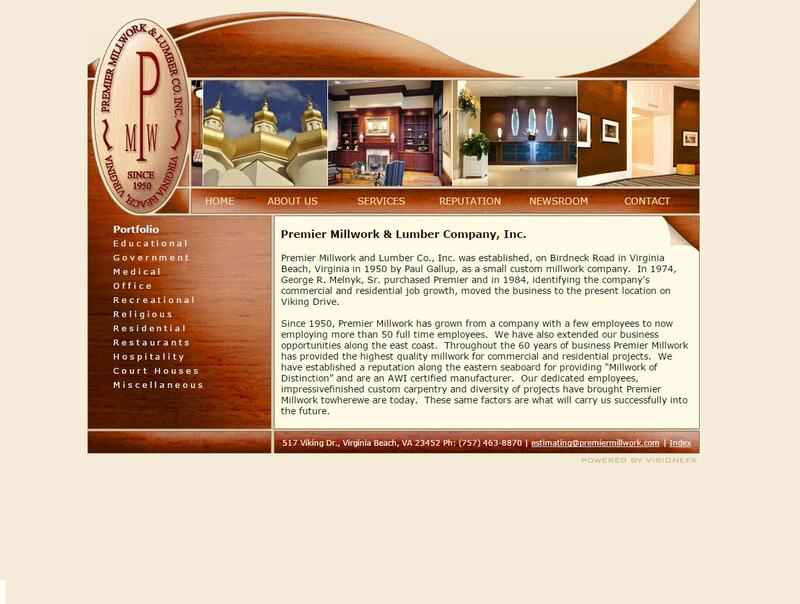 Web designers for small business owners Virginia | VISIONEFX designed a website for Premier Millwork & Lumber that communicated their online brand by using the colors and fine wood grain textures utilized in their mill work. The website features rich wood textures, warm colors and call-to-action boxes throughout the website interior pages. VISIONEFX provides best in class web design in Virginia to small business and organizations throughout the mid-Atlantic region. When searching Web Designers Virginia Beach Va look no further than VISIONEFX for all of your website needs.